E.F. Benson’s delightfully nostalgic classic of public school life is in the tradition of P.G. Wodehouse’s Tales of St. Austin’s. Memorably evoking the joys and torments of boyhood, from midnight feasts and glorious days on the cricket field to waxy masters and hilariously embarrassing parental visits, Benson follows young David Blaize from prep school to Marchester Collete – a thinly disguised portrait of the author’s own beloved Marlborough. 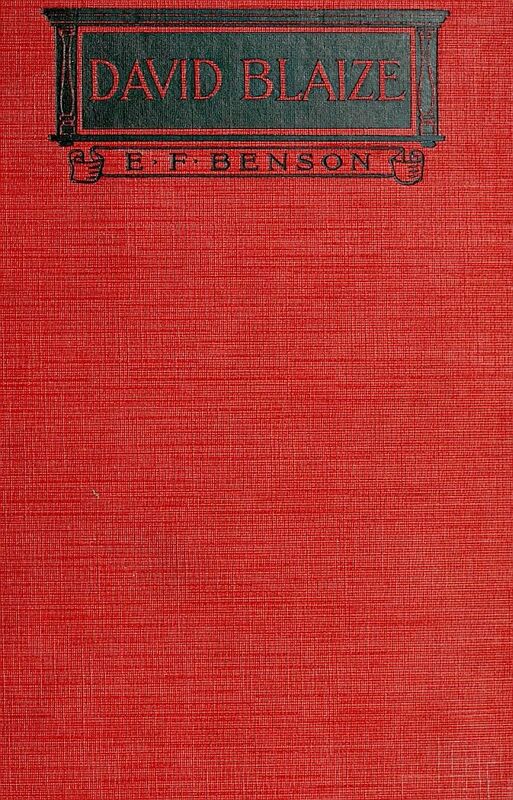 Edward Frederic Benson (24 July 1867 – 29 February 1940) was an English novelist, biographer, memoirist, archaeologist and short story writer, known professionally as E. F. Benson. His friends called him Fred. Benson's first book was Sketches from Marlborough. He started his novel writing career with the (then) fashionably controversial Dodo (1893), which was an instant success, and followed it with a variety of satire and romantic and supernatural melodrama. He repeated the success of Dodo, which featured a portrait of composer and militant suffragette Ethel Smyth (which she "gleefully acknowledged", according to actress Prunella Scales), with the same cast of characters a generation later: Dodo the Second (1914), "a unique chronicle of the pre-1914 Bright Young Things" and Dodo Wonders (1921), "a first-hand social history of the Great War in Mayfair and the Shires". The Mapp and Lucia series, written relatively late in his career, consists of six novels and two short stories. The novels are: Queen Lucia, Lucia in London, Miss Mapp (including the short story "The Male Impersonator"), Mapp and Lucia, Lucia's Progress (published as The Worshipful Lucia in the United States) and Trouble for Lucia. The short stories are "The Male Impersonator" and "Desirable Residences". Both appear in anthologies of Benson's short stories, and the former is also often appended to the end of the novel Miss Mapp.--Wikipedia. Epub 20150219.epub If you cannot open a .mobi file on your mobile device, please use .epub with an appropriate eReader. Mobi/Kindle 20150219.mobi Not all Kindles or Kindle apps open all .mobi files.